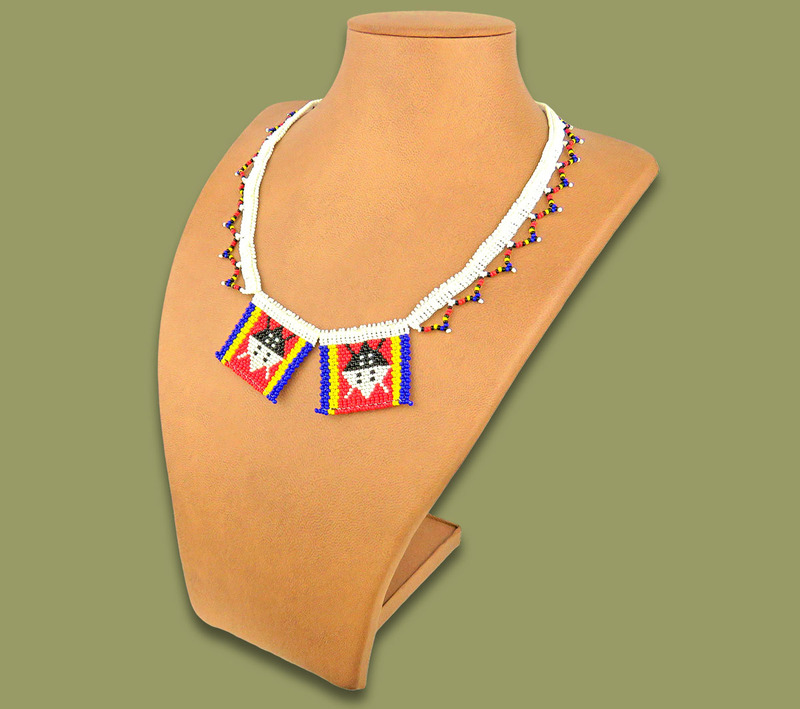 Beaded Necklace with 2 x Zulu Love Letter Shields. Handmade by the rural woman of South Africa. Ball and loop close at the back. Packaged in a cellophane pouch with a header card explaining the meaning of a Zulu Love Letter. SIZE OF EACH LOVE LETTER: 40 mm x 43 mm.